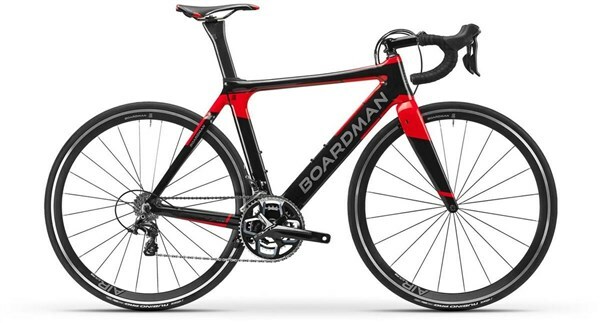 This Boardman AIR 9.0 triathlon bike is in excellent condition. Having never been ridden, it is showing no signs of mechanical wear. However, it has some cosmetic imperfections on the rear stay, which is damaged. To ensure this bike meets our high standards for quality, it has undergone a thorough inspection by our professional mechanics. As with all our bikes, it comes with a 12 month Tredz warranty, plus any additional manufacturer warranty, which may apply. The AIR 9.0 offers the same technological advantages and attention to detail as the rest of the AIR range. With brakes and cables shielded from turbulent airflow, a deep section AIR Elite Five wheelset and a Shimano Ultegra groupset make this a class leading race bike whether your passion is Triathlon, TT or Road. This level of aerodynamic performance has never been so attainable.